Coming soon to your local highway's passing lane at 10km/h under the speed limit. Toyota has revealed the new generation of its popular Corolla sedan. This is the Chinese version, but the global version should be close, maybe with all red tails and a different front clip. 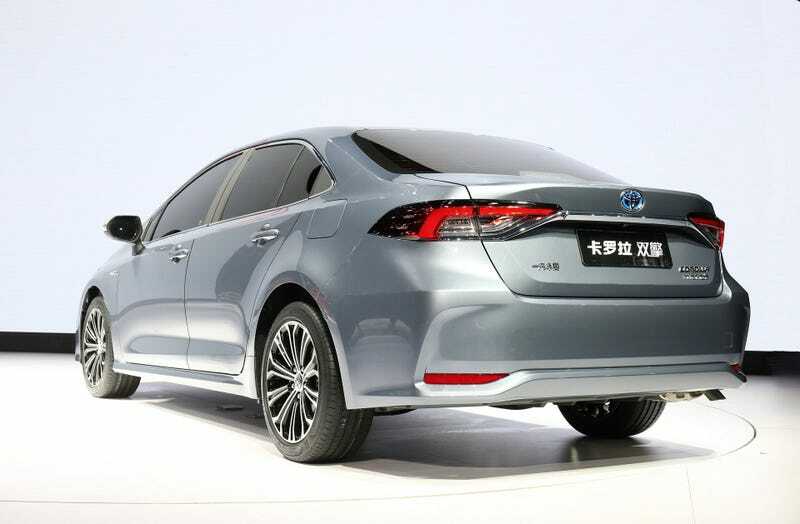 The new Toyota Corolla Sedan will have sharp looks and a competitive price. Toyota really needs to tone down the “I’m a big and bold design because my grille is too damn large” thing they have going on with all their latest cars. Oh... and that hood cut line is stupid.